I am continuing my quest to make art journals in different sizes, with different papers and bindings. I just know that at some point I will find my “perfect” journal. 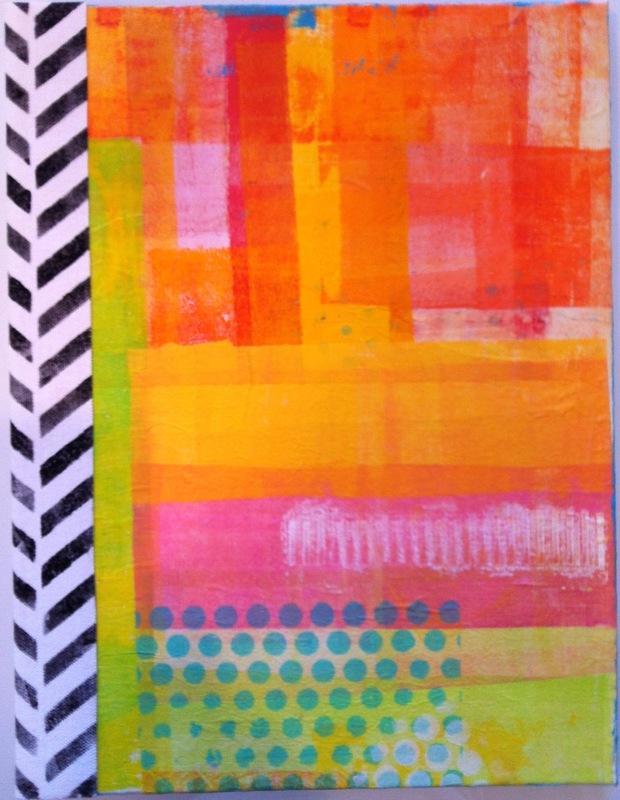 This month’s quest has led me to participate in Julie Balzer’s Junque Journal on-line class. I love her easy, straight forward instruction, free style journaling and overall playfulness while she creates. I created this 9″ x 12″ journal using canvas panels and a piece of raw canvas for the binding. The front cover is made with left over gelli deli papers and the back is a watercolor chart that was a test of new colors. The signatures are still a work in progress and I will post pictures of those when they are done. Until next time, Keep It Simple. 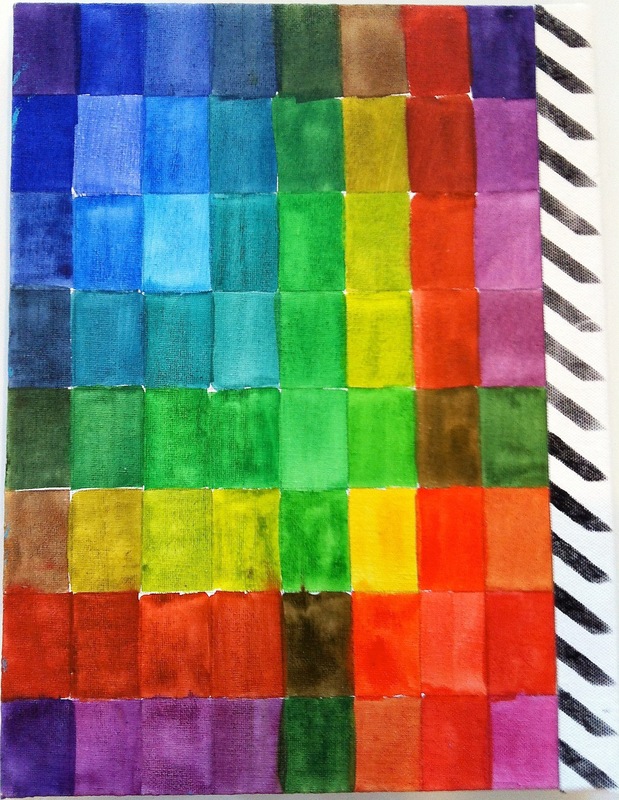 This entry was posted in 2014 and tagged art journal. Bookmark the permalink.